Do you have an emergency? An animal got sick? A flooded carpet ? An unexpected family event? Don’t panic, we are a phone call away. I know life can come up with unexpected things and we are here to help you. Call our office and let our fleet of trucks help you. 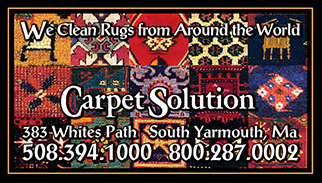 Please call our office ( 508-394-1000 ) we are a phone call away 7 days a week. DON’T TRY TO TAKE THAT SPOT OUT WITH AN OVER THE COUNTER PRODUCT! Call us for free advise. I am a master textile cleaner. I will guide you through the spot removal process. Spot cleaning isn’t as easy as spray and the spot is gone. You can make a spot a permanent stain. So please don’t try to take that spot out with out my coaching.